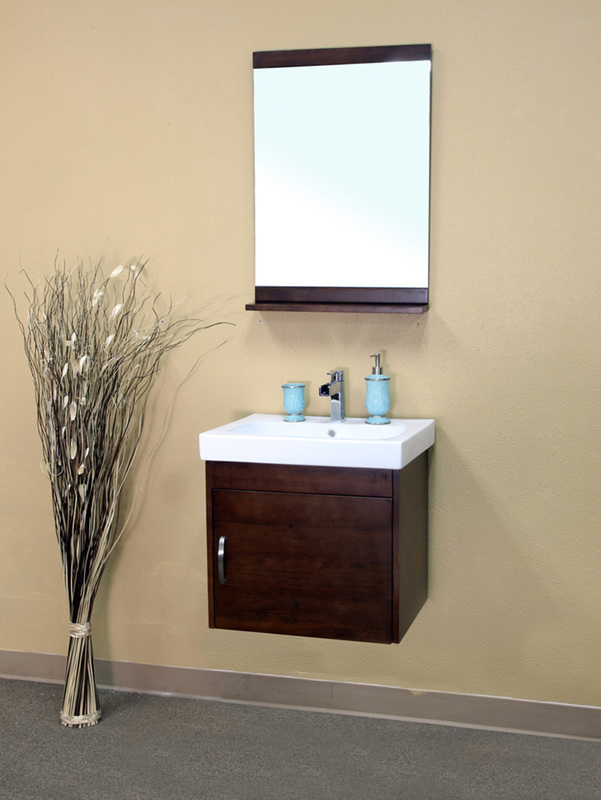 The Cerrillos Single Vanity is simple and stylish with its modern design and warm walnut finish. This vanity works great for bathrooms where you want to save space, or where a bulkier vanity is simply not needed. 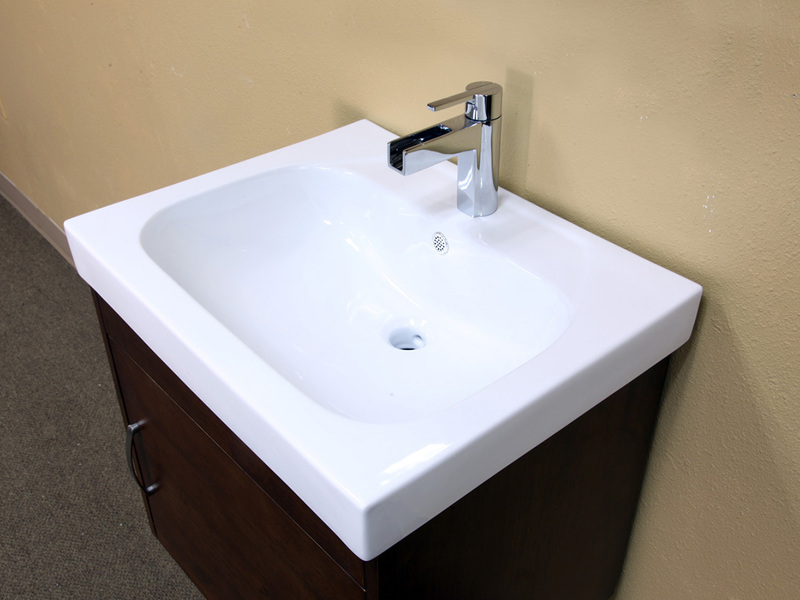 It has a single cabinet for conveniently storing bathroom supplies and toiletries, with soft closing door hinges for superior motion control. 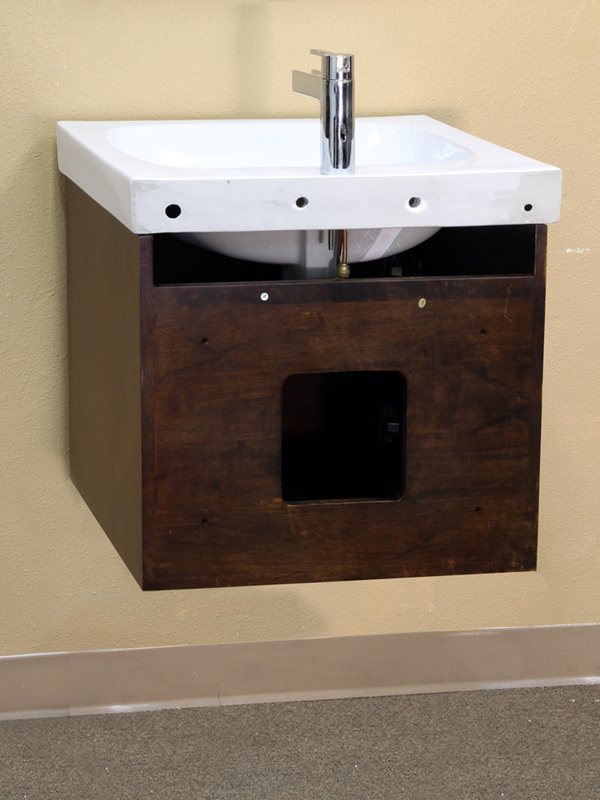 The solid birch wood cabinet is protected by a water proof walnut finish, giving it a great look, and protection against humidity. 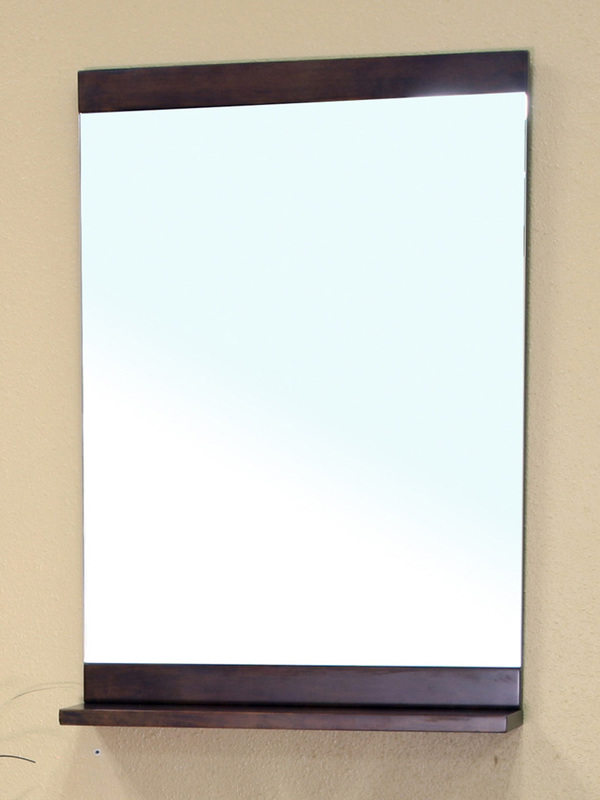 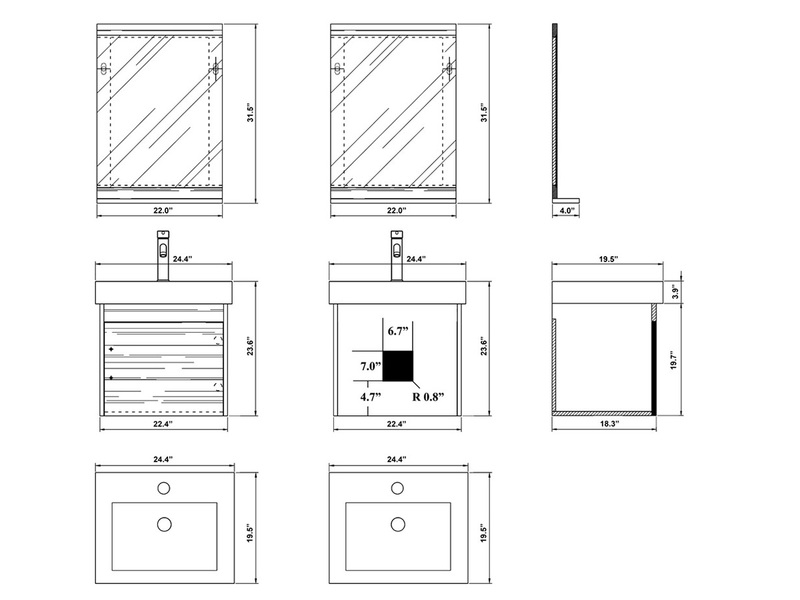 The vanity has an optional matching mirror to complete its contemporary bathroom style.